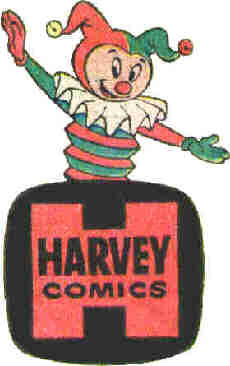 Harvey Comics was a publisher that is best remembered for the children's comic books it published in the latter half of the 20th century (many of which featured a young protagonist with some kind of special "hook" ... being a ghost, being a witch, being rich, etc.). Its most popular characters were Casper the Friendly Ghost, whom it acquired from Paramount, and Richie Rich. It also published a whole bunch of Golden Age superhero comics, horror comics, romance comics and even Archie Comics-style teen comics. Currently, Harvey Comics' properties are owned by NBCUniversal through its DreamWorks Classics unit. However, the Harvey Comics' superheroes are in the hands of their creators. Felix the Cat: Licensed, and a continuation of a previous run of the comics by Dell Comics and Toby Press, having the longest run with them from issue #62 and ending with issue #118. The Wiki Rule: The Harvey Comics Database Wiki and Harvey Comics Wiki .